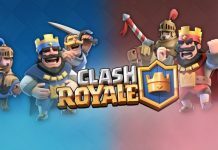 It has now become a trend to get autumn updates for the Clash of Clans year after year. 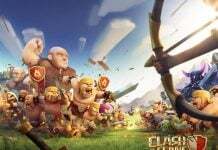 Keeping the trend alive, Supercell is all set to release the Clash of Clans October update. 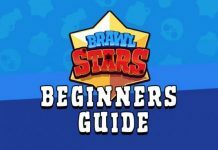 The developer has revealed quite a lot of information about the update and we can see a long list of features coming this time. 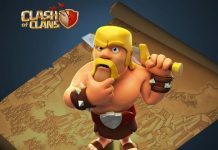 The information comes directly from the Clash of Clans social media handles who have shared a video depicting all the details. The 11-minute-long video gives a sneak peek at all the features that are coming with the Clash of Clans October 2017 update. We have broken down the video and have included the important details in this piece to give you a better idea what you should expect from the CoC October update. Golem has been upped to level 7 with the upcoming October update and there is a lot you might need to know about it. It now has an even beefier look and will have blue crystal stones on its head that will extend to the shoulders. Apart from this, you can expect improved DPS and Hitpoints from the Golem and Goelmites at the new level. Most importantly, you will need 200,000 Dark Elixir as the research cost of the Golem level 7. 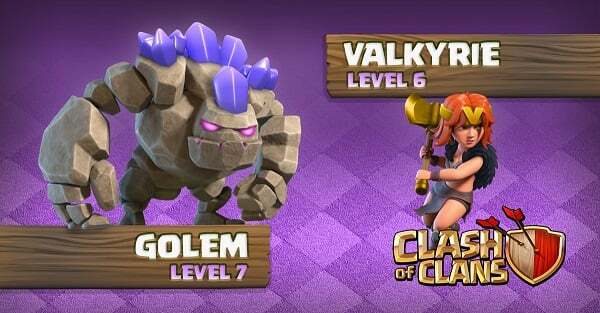 Along with Golem, Valkyrie will also be getting a level up in the Clash of Clans October update. With the new level 6, you will find the looks to have changed a lot from the previous level. Apart from the entire colour scheme of the character, a ‘V’ symbol can now be seen. You can, of course, expect an improvement to Hitpoints, DPS, and area damage with the new level. Not only the characters, but a couple of buildings have also been levelled up. 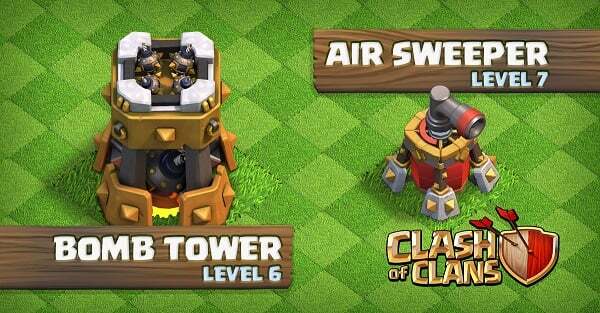 Bomb Tower is one of them that will now have its level 6 available. The visual changes are an obvious thing with the new level and there is more HP too. The new level will bring higher DPS and will also cause greater damage when destroyed. Supercell hasn’t made any radical visual change to the Air Sweeper that will get the level 7 with the October update. HP has been increased quite significantly and its Push Strength has also been upped. 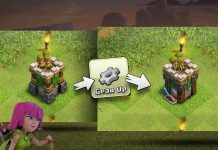 If that wasn’t enough for you, 25 more Wall segments could be levelled up to 12 by the Town Hall 11 players after the October 2017 Clash of Clans update. 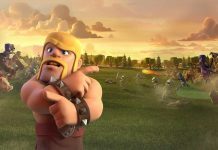 Supercell had shared some of the details on their official forum and more information was soon provided in the form of a video. The images of all the four major changes were provided by the developer and have been included in this piece. And in case you can’t resist watching the video, it is there for you as well. We will continue to provide more information about the Clash of Clans October 2017 update as and when they’re made available.